Over the past six months or so I have come to appreciate and understand the vision of Magda Mayas more and more. I have also been tuned into The Necks (for which Abrahams plays piano) through a chance meeting with Tony Buck and multiple conversations with some Australian jazz musicians at local live music clubs. So armed with this information, I thought I had the appropriate knowledge to get my head around the vision of two great keyboardists in a duo setting. Gardener starts with a track that is just over a minute long. "Song of the pylon", had me more intrigued than riveted and was followed up with a 15 minute brain teaser "The changes wrought by the recurring use of tools" where harmonium, harpsichord, and piano are used to create an almost jack hammering effect where both musicians, who are credited with all three instruments, throw themes, fragments of ideas, and phrases at earth other at a dizzying pace. 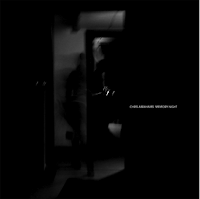 I needed to understand Abrahams more and as luck would have it, he had just released his third record in his solo series. The Necks are one thing but to understand one man's musical vision there would be no better place to start than with solo material. With this, the third recording of solo material from Chris Abrahams for Room40 records, preceded by Thrown and Play Scar, he continues into the electro acoustic vortex with this powerful and chilling landscape. Electro-Percussive may be a better way to describe whats going on here. The creative use of the beat is what keeps the opening track, "Leaker" (which builds to an ending that is just completely barking mad) and the rest of the album for that matter, fused together. It is a tight and focused recording with four tracks and clocking in at just over 40 minutes. This album will play tricks on you. There are ghost sounds and adjustments to intensity that are sometimes subtle and some more that will test your listening threshold. Track two, "Bone and Teem", turns in an entirely different direction with bells and chimes and even when the electronic manipulations are still swirling around your head, he introduces his warm, acoustic piano for an earthy counterbalance. The remaining two tracks are also full of surprises, like the beautiful piano moment during "Strange Bright Fact". Here lies a complete, well devised, and brilliantly executed record. 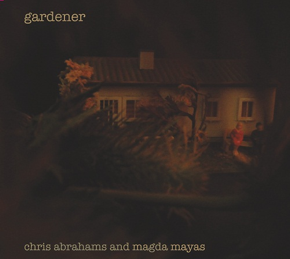 I personally prefer the compositional aspects of the Abrahams solo recording more than the improvisational aspects of Gardener. But with that being said, there is some greatness on Gardener like when their musical thoughts run parallel with each other such as on "Ash canopy" and "Surroundings" and thus making for some great listening moments. These really are two great and forward thinking musicians as well as working visionaries hence their output both individually and collectively should be listened to. I would humbly suggest listening to their back catalogs first and come to this one prepared. Gardener can be purchased at Instantjazz and Memory Night from the label.